When you’re looking at colleges and deciding on a major it can be hard to choose, especially when you have no experience with that field. For me, it was particularly intimidating when I applied to architecture school because even after extensive research, there was not much information about what I would be doing as a student day-to-day. This is where summer programs can be extremely helpful. Yes, I know it does not sound like fun to work during the summer when you are supposed to be on break, but it is not all work, there is fun too. Professors try to keep summer programs fun and as interactive as possible because they know it is your break and they want you to enjoy it, while you get to learn something. 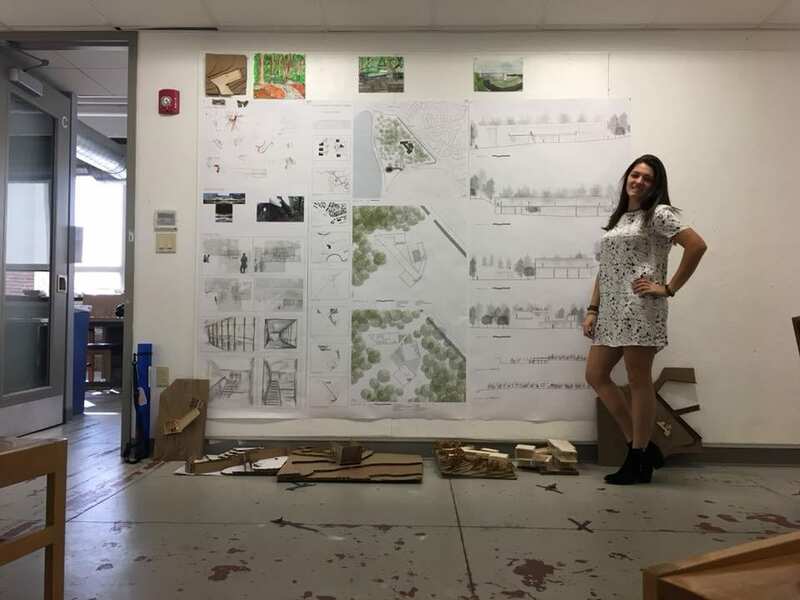 Here at Wentworth, we do a program called summerFAB, which is available for students interested in architecture who are currently enrolled in high school prior to their senior year. This is a four-week program (July 14th– August 9th) in which students have the opportunity to live on campus in Boston and eat in the cafeteria (with an included meal plan). Students will be able to earn college credit and get a leg-up in starting their college career. In addition, if you participate in the summerFAB program and then attend Wentworth as a freshman, you are awarded a one-time scholarship of $2,000. Especially with architecture, the earlier you start learning the process the more successful you will be as you become comfortable with the techniques and software. In summerFAB, students participate in a design build experience in which they go through initial design concepts all the way to a full-scale construction site on campus. This program is split up by three phases, each of them being observation, analysis, and build. In the observation phase, students develop an intensive investigation and experience of the site, while working together to measure, map, and document the features of the site. In the analysis phase, participants learn how to make models and are trained in the fabrication lab, a skill that will be useful even outside of architecture. Lastly, in the build phase, participants learn the skills necessary for production and work on site building the final product. This opportunity is limited as there is not an unlimited number of spots and the deadline is fast approaching (April 15th)! Being able to experience a possible major and a college first hand is irreplaceable, as there is nothing to lose and only skills to gain. This possibly helps inform you and solidify your decisions for major and college. When I was applying to college I was considering a completely different major. For this major, I participated in a summer program and went through a similar four-week course for it. I soon found out it was not the field that I wanted to go into. I enjoyed myself and developed skills that I am able to still use today! It is worth the experience and piece of mind to test out summer programs and find out what you would be interested in! To learn more about summerFAB and to register, please visit wit.edu/summerFAB or e-mail us at summerfab@wit.edu.